The luxury London back to wall bath from Burlington, for those that want their bathroom to make a style statement. Comes complete with fitted waste and overflow and its own surround which is made from HDP polymer that is waterproof and is not prone to water damage. 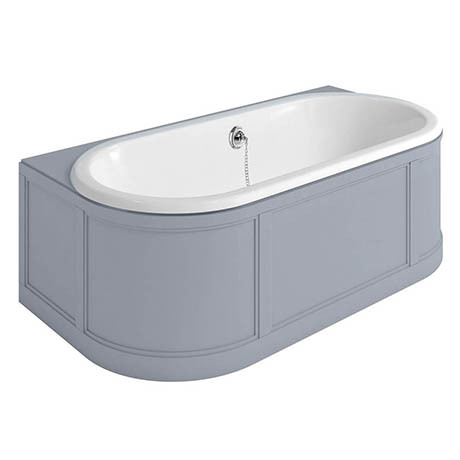 The London bath will most certainly transform your bathroom into a space of peace and tranquillity. Please note: Supplied with no tap holes, but these can be drilled into the furniture surround by the installer where appropriate.